As part of the on-going Canada 150 celebrations in 2017, a new comedy called, Canada, It's Complicated, is touring the country. At first, Dakota Ray Hebert said she was "apprehensive" about being an Indigenous person involved in a Canada 150 show. "I knew they were looking for Indigenous comedians, but I didn't know what our roles were going to be," said Hebert. "I didn't want to be playing a stereotype, and I didn't want to have to get into those headbutts of like 'I don't want to do this, this is not good.'" But Hebert said there was no need for uncomfortable conversations with the cast or creator of the show, comedy star Mary Walsh. "I think people see that it's Canada 150, it's a Canada heritage thing, and they're thinking 'Oh, its a celebration of all of our accomplishments', but in reality, we're like 'No, we're talking about the issues,'" explained performer Chad Anderson. Both Anderson and Hebert praise the show's sensitivity and inclusion when it comes to Indigenous issues. From the founding fathers of Canada, to the signing of the treaties, to modern Indigeneity, the show covers it all. But, not everyone in the audience is comfortable with the Indigenous content of the show. 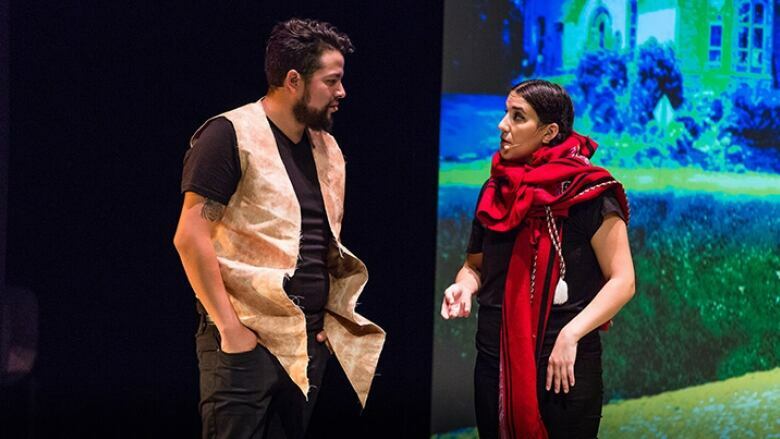 They recalled one town, where a primarily white audience were visibly unnerved during the sketches involving Indigenous people. "For white folks who don't know much about Indigenous history, or haven't learned, or don't want to listen, and now they have to for an hour and a half, it could be controversial to them," said Hebert. "But for us, this is just finally a way for us to share these stories and have these things talked about." Hebert said that the issues themselves are a "delicate" subject, but it's important to get the dialogue going. "If we can get people laughing and talking, and seeing how absurd and ridiculous some of the issues Indigenous peoples alone face in our country, then we'll be able to work together to find solutions."